A 36-year old truck driver in Japan, Nobusuke Kawai, hit and killed a 9-year old boy named Keita Noritake. The cause of death was Kawai not paying attention because he was playing Pokémon GO. Nobusuke Kawai violated Pokémon GO safety tip #1. The very first one! It's, like, the First Amendment of safety tips! or he's so distracted he's not going to swerve from the truck being on the wrong side. Unfortunately, Pokémon master Herman Cain's warning was to Pokémon GO players, not elementary school kids trying to cross the street who were doing the right thing and not playing Pokémon GO. This incident will renew the worldwide push for truck control, after the terrorist attack committed by a truck-wielding Muslim in Nice, France. 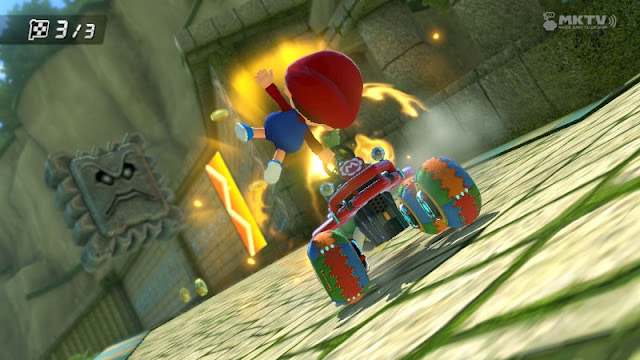 Just like Shigeru Miyamoto encouraged eating disorders with Wii Fit, he is going to be encouraging vehicular manslaughter with Super Mario Run. He may be eating hamburgers to promote the one-handedness of Super Mario Run, but since he and Nintendo are choosing THAT PARTICULAR POINT to base a whole marketing campaign, surely they realise that many people drive with only one hand, correct? The traffic of getting to and from work is some of the biggest “dead time” in a person's day. It's pretty much wasted time, so people have an inclination to try to salvage it. Shigeru Miyamoto loves to base games off of his personal interests. I'll leave you to speculate what in Shigeru Miyamoto's personal interests includes this. The problem is that such distracted driving creates deaths. 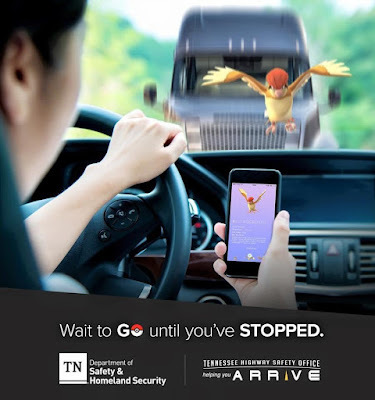 If you take the popularity of Pokémon GO, which is already causing such an incredible danger to society, and combine it with a game that is actually designed to be used while driving (which Super Mario Run is, according to its one-hand-focused marketing), you're going to end up with a complete and total disaster. Ultimately, Nintendo will be killing off its own customers, and they'll be about as bad as the tobacco industry. Everyone better buy the Nintendo Switch and make sure they're really profitable from that, so Nintendo can stop endangering the public with their mobile endeavours! Ludwig doesn't own a smartphone, so feel free to correct many of the assumptions he's made while writing this article. He listens to country radio while driving, has both hands on the steering wheel, and drives at or under the speed limit. Unfortunately, a gun wouldn't be able to save Keita Noritake... and he's only 9, so he shouldn't really have one anyway. Despite how this article sounds, Ludwig still doesn't want Pokémon GO banned, equating that solution with Iran and Hillary Clinton. Nintendo is STILL insisting on the one-handed-ness being the most important part of Super Mario Run as doomsday (its release date) is announced. Nintendo should invest in mortuaries next. I'm sure they would make a killing. I feel bad I downloaded Pokémon GO and contributed to its numbers. I know better and will resist from downloading Super Mario Run. To be fair, as long as you didn't contribute to its revenue, it possibly looks worse for the app, statistically, that you downloaded Pokémon GO and didn't spend money on it and abandoned it. You know, from a performance standpoint.